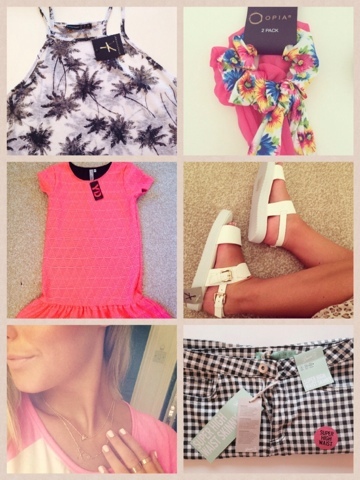 If you follow me on Instagram (lauracranston1) then you will know I've been buying a lot lately due to being paid. I am literally obsessed with shopping and especially since I work in a shopping centre it's getting out of hand. Whhoooops. Anyway I thought I'd show you guys what I have been buying. Firstly it was my big purchases at Primark which I've done a Primark Haul for so check that out. 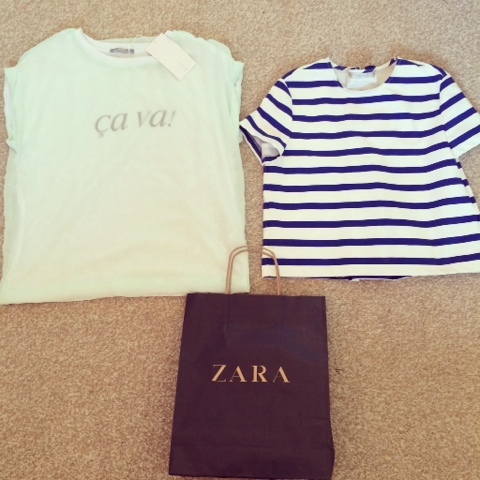 Then it was my purchases from Zara..
Zara is on top form lately! I want EVERYTHING from that shop. I spotted this LUSH yellow jacket on Instagram and instantly wanted it. Went into Zara and it wasn't there so I bought these two lovely tops (top pic) and then went back for more. This time the jacket was there!!! Omg you should have seen me. Literally ran towards the jacket because it was a Saturday and I know how crazy everyone is on a Saturday so I grabbed that and some other things to try on. I tried the small on but thought it was a bit too poofy on the shoulders so bought the xs. (£59.99) which I realised it a splurge but I thought I'd treat myself. Not that I treat myself everyday like. Also bought this lovely white top which is lush material and 3/4 length arms. I bought this for one reason, to tie into a knot on the side as I think this look looks so cool with a tan. (£19.99). And this other white tank top which has a knot already on the front but I thought this looks good for those hot summer days (12.99). Finally I bought these washed jeggins which I've been after the right ones for ages now as I wanted ones that are the right colour. These are them. (£19.99). I then stumbled into Miss Selfridge.. 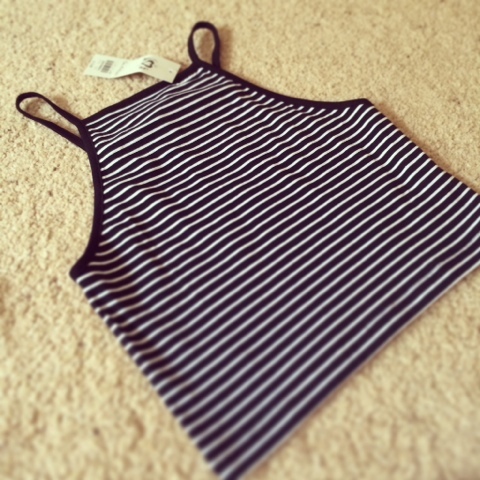 I bought this cropped cami to go with high waisted denim shorts for my holidays. I realise everything I buy from now will be for my holidays. I love to plan and be prepared epesh when it comes to clothing. This was (£12.99) BARGIN! AND THEN.. The postman dropped this lovely little parcel off! I found this clothing brand somewhere on Instagram I think..wow isn't Instagram amazing. It's called One Nation Clothing and it's only small but sometimes the small brands have the best things. I loved this co-ord and have been after one for a while now and thought the bright orange with the navy stripes would look heaven with a tan. The material of this is great because it doesn't look like it will crease easy which is perfect for the suitcase and it's textured so it gives it that little bit more detail to it. It's kinda stretchy too which makes the shorts so comfy. This co-ord cost (£36). So go check them out on Instagram which will have their link to their site in their bio. Search for One Nation Clothing. What do you think of all of this? Yes I know stop shopping Laura!